Earlier today, Apple launched pre-orders for iPhone 8 and iPhone 8 Plus in (PRODUCT)RED, ahead of the phone’s launch this Friday. 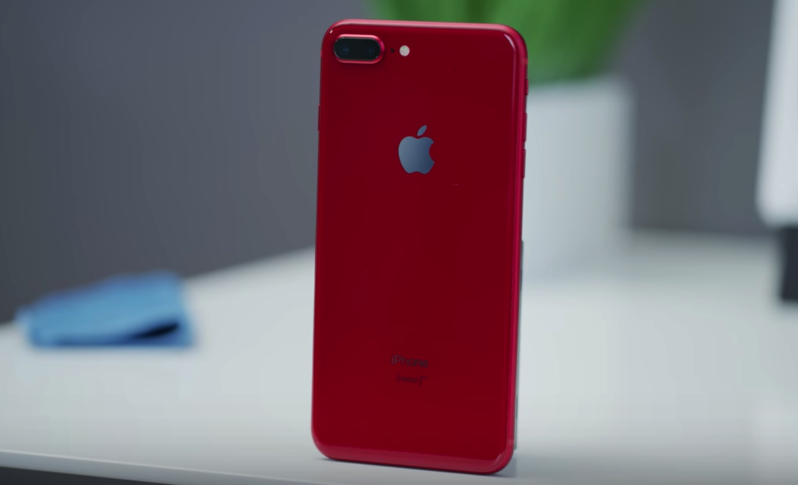 YouTube tech reviewer Marques Brownlee (MKBHD) of course, got his hands on a 256GB iPhone 8 Plus in (PRODUCT)RED supplied by Apple, and unboxed it for the world to see. According to MKBHD, the (PRODUCT)RED iPhone 8 Plus has a “Ferrari-like” candy red finish, thanks to the back of the phone being in glass. Last year’s iPhone 7 in (PRODUCT)RED was an anodized aluminum red back, which was more of a matte look. The (PRODUCT)RED iPhone 8 Plus in red looks pretty nice, but more importantly this year, is the fact Apple went with a black front on the phones, versus last year, which saw a white front, which some disliked because it made the iPhone 7 and iPhone 7 Plus look like a candy cane. Last year, Brownlee was also the first to unbox iPhone 7 Plus in (PRODUCT)RED, along with iPhone 7 and iPhone 7 Plus in Jet Black. Now if only iPhone X came in (PRODUCT)RED, right? Brownlee says he brought it up with Apple, but the company obviously did not answer whether or not it was coming.